And it didn't take long for things to start to go wrong. One of the guests claimed she had knowledge that would ruin the others' reputations, but nobody took her seriously enough to take offence. 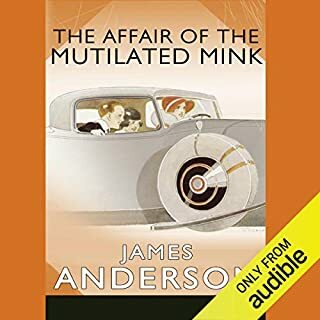 ©2006 The Estate of James Anderson (P)2014 Audible, Inc. 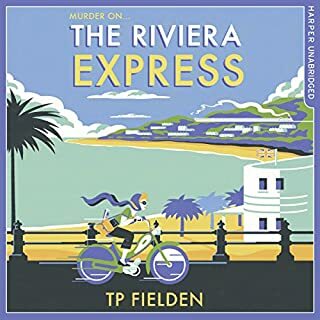 I'll be honest, the set up (ingeniously done btw), was so much like a Roderick Alleyne novel that, once the murder was committed, I was slightly non plussed that Superintendent Alleyne & Breer Fox were not called to investigate! However, I was not disappointed with their replacements and you won't be either! There were some strands that, you just didn't see coming, and others that you might suspect but don't know how, and on top of it all, you are nicely entertained. This is one of those novels that are lightly undemanding, if you don't need it to be, and amusing enough without being farcical. So not bordering on the ridiculous, like PG Wodehouse. But not staid and proper like Agatha Christie. A good blend of both! Throughly enjoyable. I'm off to read another immediately! 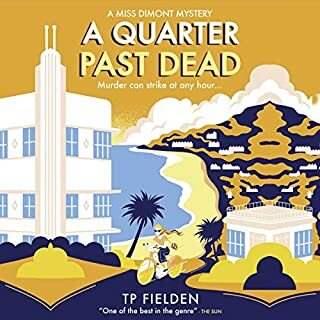 I have read a James Anderson before and felt it was a bit too much of a farce to feel very Agatha Christie like, but this book contained more real characters (although still quite exaggerated) and a more likely story. I like that the detective always solves it not the amateur who 'gives it a go'. I'm not a huge fan of the farcical evening movements but it at least confused me such a lot. This narration is mostly very sharp - a couple of times at the beginning some characters accents mix slightly. However Wilkins is brilliant and totally conjures the image of the description throughout. I will look out for another one in the future. These books would make a fabulous dramatisation. An involved puzzle that is unravelled by the inimitable Wilkins. 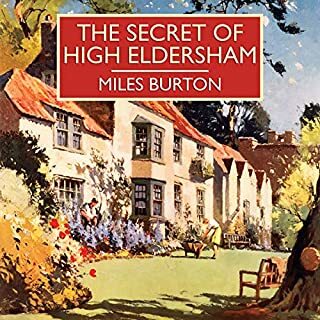 Recommended to anyone who enjoys a good country house detective story. The only fly in the ointment is that Anderson only wrote three novels in the series. What did you like most about The Affair of the Thirty Nine-Cufflinks? What is not to like?! 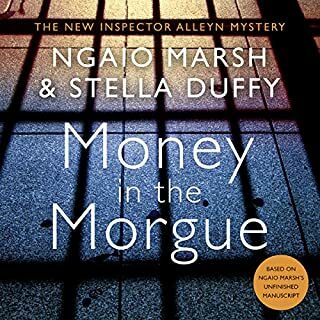 Brilliant writing, brilliant reading, another mystery at Audleigh, loveable characters, laugh out loud funniness... For those who love Agatha Christie/Marjorie Allingham/Ngaio Marsh (etc) novels, this is a treat. But read/hear the first two before this one! Too many lovely characters that, in this third book, now feel more like friends. Mr Garrett is brilliant, I love all the Saunders, but he brings life to everyone in the book. If you love classic murder mystery, watch this! Sorry it's a bit lame, I'm not really into films! I absolutely loved this book, can't praise it enough. If only there were more! If you could sum up The Affair of the Thirty Nine-Cufflinks in three words, what would they be? 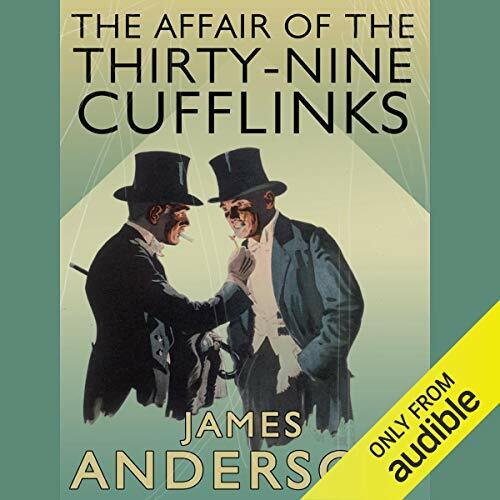 What other book might you compare The Affair of the Thirty Nine-Cufflinks to, and why? Loved any scene involving anyone trying to explain anything to Penny. Dashing good blarney. Spiffing plot. I found it difficult to pause listening to these mysteries. very addictive listening. 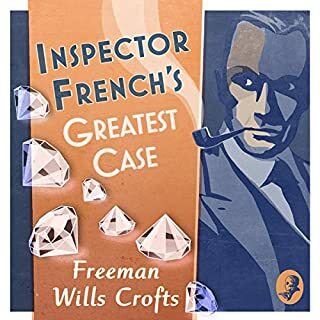 A detective Chief inspector who spoke in a broad Yorkshire accent, could speak French and Russian AND did the Times crossword over breakfast. He topped Poirot every time. 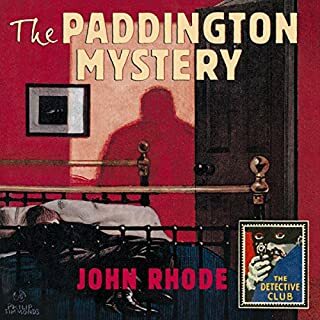 If you, like me, appreciate a gentler more civilised genre of detective fiction then give these books a go. Wonderful characters. Love the policeman. Funny and mysterious with little twists and turns. A riveting listen. 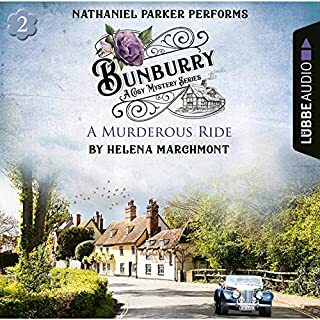 Love this series of audio books. Well written and superbly narrated. Would recommend very highly. 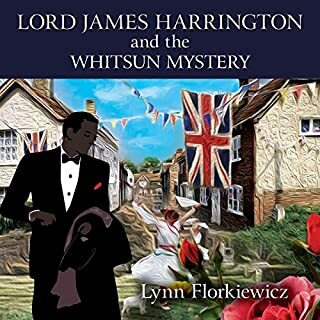 All the ingredients for a classic murder mystery - English aristocratic country house, many suspects with possible motives, detective with hidden talents and, of course, a butler. 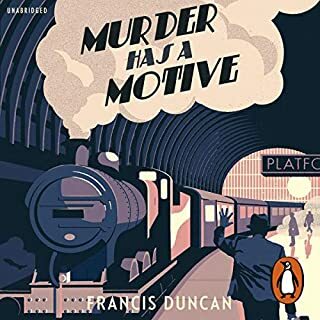 If you love detective stories maybe a little predictable, so four stars for story, but this does not make it any the less enjoyable. No need for violence or horror, just light hearted and amusing with wonderful narration by Cornelius Garrett. His skill in making each character clearly distinguishable is amazing. Excellent entertainment and highly recommended. 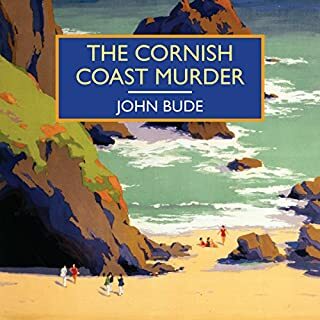 It appears to be the third of a series, I hope the others will also be available on audible soon. 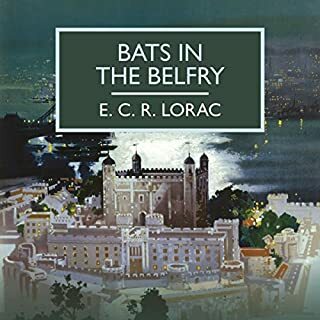 This was a very good sale bargain, but I would happily pay full price for this author and narrator. Cornelius Garrett is simply brilliant in his reading. HIs accents and style bring this light novel to life. I like the way he took me to a fascinating world of manners, luxury and quirkiness. Lots of fun. What made the experience of listening to The Affair of the Thirty Nine-Cufflinks the most enjoyable? One of the best narrations I have ever heard. The plot is witty and the dialogue occasionally makes you chuckle out loud. The sound quality is also good - that is all to often not the case even when downloading in enhanced format. What about Cornelius Garrett?? ?s performance did you like? CG gives every character his or hers own special voice and he knows the value of pausing to let the dialogue sink in without being at all slow! 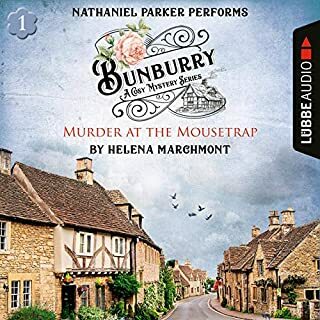 Please audible - do give us more from this mystery series a true delight! 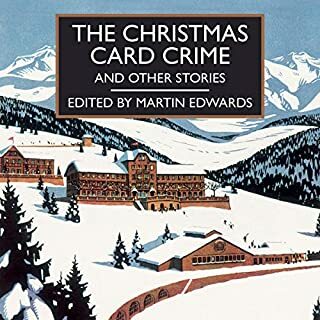 If Agatha Christie and P. G. Wodehouse had collaborated on a mystery novel, this would have been the result. Great fun! 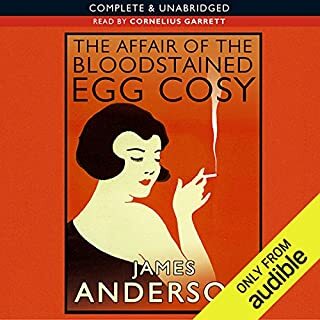 I've read two other James Anderson humorous mysteries and decided it would be fun to listen to one read. The mystery twists are enjoyable. But what elevated this storytelling was the narrator, Cornelius Garrett with his distinct voices for every single character. Not one was the same, even with a few soft toned women speakers, a few direct ones, an American, all the men of different character, professions and classes. Accents, tones, pacing. Absolutely delightful. Let him read me anything British. Garrett's repertoire of voices defined Anderson's storytelling. I have enjoyed James Anderson''s three titles immensely and wish there were more. the performer was great. 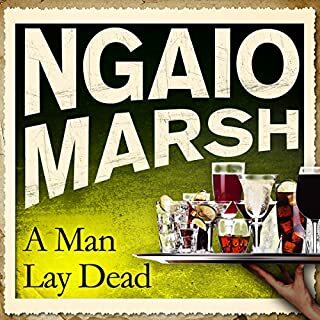 This was my first read of this author -- so happy to find another author in the Agatha Christie, Rex Stout, Catherine Aird, Dorothy Sayers, Ngaio Marsh genre -- interesting, complex plotting, fun assortment of well written personalities, stately manor setting, dignified butler, English tea, a intellectual mystery with all the trimmings from the Golden Age of Mystery writers. Loved it. This series is highly entertaining! 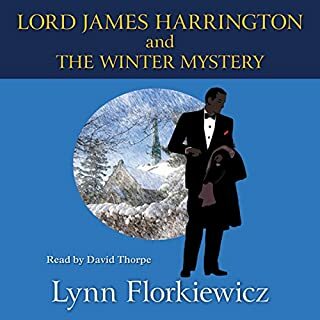 Perfect narrator once again this series is one of my favorites I listen to frequently. Have you listened to any of Cornelius Garrett’s other performances before? How does this one compare? 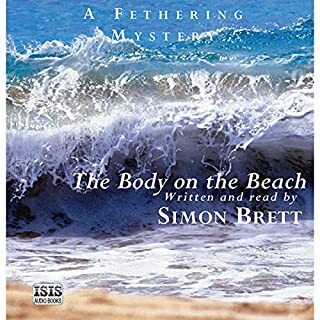 I had never heard of this author until recently, but greatly enjoyed all three of the audiobooks -- read them in order!